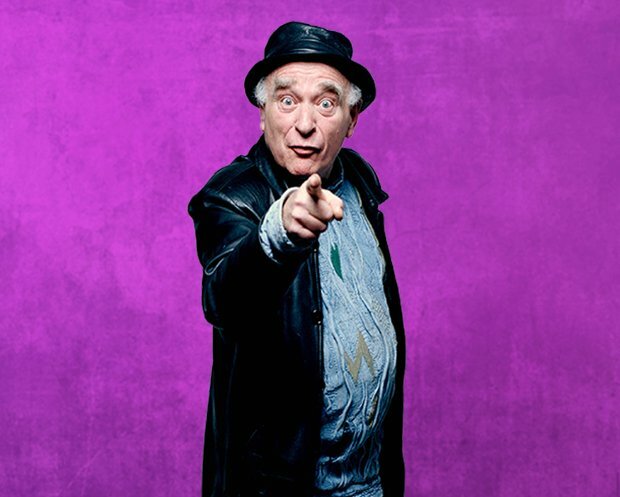 Ken Campbell, the late mischievous firebrand of British theatre, once referred to his many projects as 'capers'. His stories are the stuff of legend – bizarre, yet all true. He once put ferrets down the trousers of future Doctor Who Sylvester McCoy, left his puppets to ventriloquist Nina Conti, staged a 22-hour play cycle – an adaptation of Neil Oram's The Warp, putting him in the Guinness Book of World Records – and, rather wonderfully, gave eulogies for pet funerals in Ilford. The very epitome of eccentric, his legacy can still be felt today, whenever shows are staged in unusual settings or take an iconoclastic approach. Any shows which raise eyebrows and take a lowbrow approach to high-minded subjects are reminiscent of his forward-thinking ethos. It is as though his impish ghost stalks the Edinburgh Festival, barking out instructions to 'act less'. Now Ken, a co-production between the Showstoppers and the Pleasance, is at the festival, examining his extraordinary life and career. Campbell's own approach is threaded throughout the play. 'He became obsessed with the glorious fairground of storytelling and how to do it well,' he adds. 'I unashamedly plundered his seemingly free-wheeling but precise structuring. And his turn of phrase. Ken thought differently, and if you hung around him enough, so did you'. Lucy Trodd, also of the Showstoppers, celebrates his unorthodox approach. 'Ken is an important figure for me, as Showstopper! grew out of our work with him (so did my marriage!). He was a champion of the strange and the impossible', she says. 'He wanted you to be the best you could be and would get annoyed with you if you weren't brilliant immediately. He also introduced me to improvisation in a unique way. It was life changing and all-consuming and it was different. There were no levels of organised courses, but more a sense of ensemble and remembering how to play and stagecraft. He put me on a stage improvising an opera song before I'd had a chance to think. He was my call to adventure. I would miss him very much, but I can't get away from him! I've tried'. Ken, Pleasance Dome, until 27 Aug (not 13, 20) 3.20 pm £11–£14.50 (£10–£13.50). Showstopper! The Improvised Musical, Pleasance Courtyard, 26 Aug (not 14), 6pm, £13–£17 (£11–£15). The Last Straw, Summerhall, until 26 Aug (not 13, 20) 3pm, £12 (£10). Terry Johnson's successful play returns to Edinburgh to pay tribute to Ken Campbell ten years after his death.